Of 95 Sedcole Street, Pahiatua. 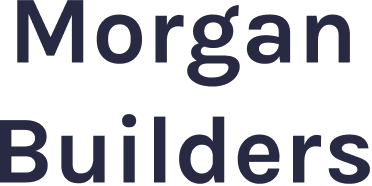 On August 10, 1994, peacefully, at Arohanui Hospice, Palmerston North, dearly loved wife and companion of Jack, loved sister and sister-in-law of Margaret Ferguson and Catherine Elliott (Hastings), Cora Smart (Tauranga), Margaret Elliott and the late Gordon (Hastings) and loved aunt of all her nieces and nephews. 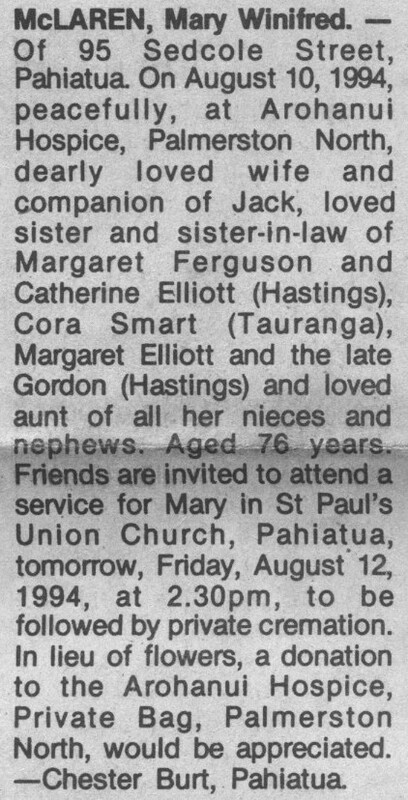 Friends are invited to attend a service for Mary in St Paul’s Union Church, Pahiatua, tomorrow, Friday, August 12, 1994, at 2.30pm, to be followed by private cremation. In lieu of flowers, a donation to the Arohanui Hospice, Private Bag, Pamerston North, would be appreciated.